Think you had it bad when your 8-track collection went the way of the dinosaurs? If your media has become obsolete, it might be an inconvenience in your life–but at worst, you’ve probably only lost the ability to watch your copy of Footloose (hey, I won’t judge). In the world of science, though, obsolete media can sometimes mean the loss of irreplaceable data. That’s a problem NASA has run into in the past. 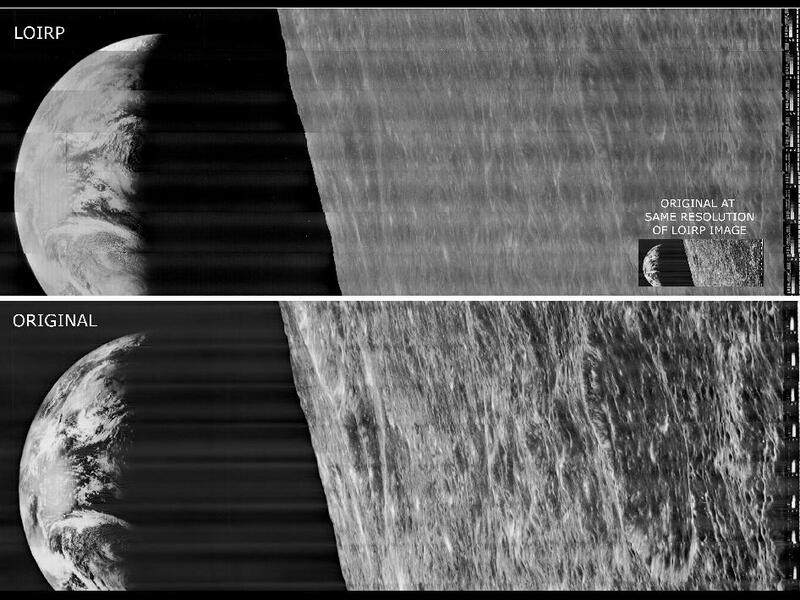 In the mid-1960s, it stored information from five lunar orbiter missions onto miles of analog tape, which was state-of-the-art for the time, but pretty quaint by today’s standards. Still, even with woefully underpowered computers, they were able to create detailed maps of the lunar surface, and pinpoint exact landing sites for the upcoming Apollo 11 mission. When that mission was over, though, the tapes were largely forgotten. They collected dust in an archive for more than 40 years, and the refrigerator-sized machines that could read them were slowly sold off or destroyed. Today, an engineer named Dennis Wingo is working to resurrect that data. He co-leads the Lunar Orbiter Image Recovery Project–which, as the name implies, is working to pry all that old data off of the tapes. So far, he’s been successful, thanks to a combination of skill and pure luck. Wingo’s team located one of the only NASA computer tape drives left in existence, and carefully restored it to its former glory in order to digitize the old tapes onto modern hard drives. Wingo is also using his data recovery skills on tapes from NASA’s NIMBUS satellites, which recorded the temperature of the Earth’s surface in the mid-60s using infra-red sensors. In the process, they yielded an extensive data set spanning the entire globe, capturing a snapshot of hurricane season, ocean currents, even the extent of arctic and antarctic ice. it’s information that could be invaluable for climate change research. Wingo thinks there’s an important lesson in all this. Although the march of technology will (almost) always move forward, we shouldn’t forget the machines of the past. Because as NASA’s forgotten tapes have shown, they’ve still got some important things to say.